As a published author, creator of Fed & Fit, and champion of life’s silver linings, Cassy appears to do it all, even as a new mom to baby Graysen. She shares how she balances her life as a businesswoman and parent, all while relying on Thrive Market to make her life a bit easier. What do you love most about Thrive Market? It’s three-fold. One, I really do love that I can go there and find all the products I need and use. It’s like walking down one aisle of the grocery store and knowing that you can get 90 percent of the things on your list right then and there. You can take a deep breath after finding the majority of what you need pantry-wise in one place—it makes life so much easier than going to three grocery stores. Two, I love the search and sort feature. I think it’s so brilliant. 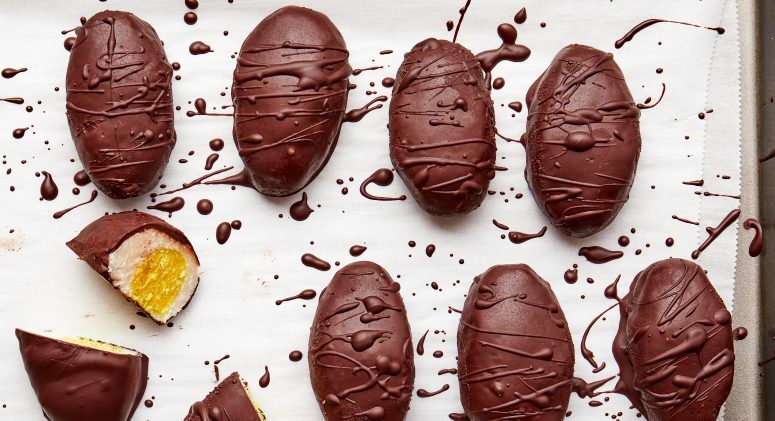 because I can go ahead and sort by “grain-free,” “Paleo,” and so on. It makes life so much easier and faster. And three, the deals. The prices are unparalleled anywhere else. That makes life as a consumer much easier, because my grocery bill has gone down, but also, as a recipe writer, it gives me peace of mind—I can refer my audience to a product and they can get a great deal. What is your No. 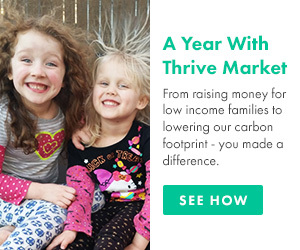 1 tip for shopping success on Thrive Market? Explore all the categories, because you just never know what you’re going to find that you can actually save money on, or get a better option for. For example, don’t just stick to food. Explore the pet tab and see what kinds of healthier treats you can get for your puppy dog. That’s such a huge win, when you can get everything you need, and check all those different boxes. When it comes to health and nutrition (for you or your baby), what’s something you wish you’d known before becoming a mom? I wish I’d known that you’re going snack more than you think you’ll want to snack. When you’re home with a brand new baby, you look at the clock and realize that you’ve forgotten breakfast! I would prepare with healthy snacks that are easy to grab. Before, all of my snacks would be fresh—I’ve never in my life been without fresh groceries so often! So I’d just get some snacks and not feel bad about having a handful of cashews. My favorite snack is the Dang Sriracha Spice Sticky Rice Chips! Why are organic, clean products important to you and your family? In a nutshell, my philosophy is that you can’t control everything in terms of what you’re going to encounter in the environment. It’s hard to control your stress level, the air quality outside... But if there’s something that we can control, why not? If I can help reduce the toxic load or the burden on my body and the bodies of my family members to set us up for the most probable success, I’m going to do it—that includes avoiding herbicides and pesticides that you’ll often find in conventional products. What are your top tips for staying healthy and eating well as a new mom? If you’re making a fresh meal for dinner, go ahead and double the recipe. In all reality, fresh meals just can’t always happen and it’s such a lifesaver when you know that you have leftover casserole. So double those recipes, and you’ll have a safety net of meals ready. As a new mom, you really need a variety of nutrients. Try to keep as many different fats in rotation as possible. Our bodies, especially when we’re building babies and trying to feed them, are regenerating all the time. All of our skin and organ tissues are made up of lipid bilayers—the fats that we eat can help refortify them. Your body will use different-sized fatty acids for different parts of those lipid bilayers, so that’s why variety helps a lot. Keep your meals as varied as possible. When you’re shopping, don’t just purchase ghee—try coconut oil and olive oil, too. What’s the best way for a new mom to get back into a fitness routine? Do you follow a specific mantra that keeps you motivated? I want to be able to chase my kids and my kids’ kids one day. I work out to stay healthy and nimble, and it’s also a really good attitude check. For getting back into it, I’d encourage moms to find a gym that offers childcare. There are a bunch of them out there—and it’s like free babysitting. Take the baby, go work out, and set up a schedule. It’s almost like a treat for mom, and baby gets to socialize with other people. What are your top five “mom essentials” that you prefer to buy at Thrive Market? Bambo diapers—diapers can be so expensive, so you might as well save some dollars there. A couple of new personal care products, like a new hairbrush. It’s really easy to push that stuff aside. Check out the beauty skin care section and treat yourself. Healthy snacks—think nuts, seeds, dried fruits, and nonperishable goods you can keep on hand. Something quick and easy for dinner, like Yai’s Thai curry sauce. I’m obsessed with it. My favorite way to use it is in this Easy Chicken Curry! It comes together quickly, is packed full of authentic flavor, and is our go-to for dinner in a pinch. Fourth and Heart’s vanilla ghee—it’s slightly sweet and I could use it on literally everything! I absolutely love it as a creamy, healthy fat stuffed into a date, with a sprinkle of Himalayan sea salt on top for a mineral boost. When I'm feeling fancy, I'll sub almond butter in for vanilla ghee in our Dark Chocolate Almond Butter Dates. It’s a fun twist! I also like Fourth and Heart’s sea salt ghee, which adds extra oomph in our Lemony Kale. This recipe takes the humble kale and turns it into a leafy green that everyone loves—and the richness of this particular ghee takes it to a whole other level! Both are a great way to get in those healthy fats! What are your favorite go-to recipes for your family? Right now, when it comes to getting meals on the table, we're going for nutrient-density, ease, and of course flavor! Most of the time, dinner these days consists of some sort of simple pasta dish, like our Sausage & Roasted Tomato Pasta, or an easy sheet pan dinner that keeps us hands-free in the evening. Our go-to lately has been this Herb Crusted Salmon and Potato Bake—it’s loaded with flavor and comes together in minutes! For lunches, I always make sure to have a big batch of our Mason Jar Antipasto Salad on hand in the fridge and ready to go. Or I'll prep a few Make Ahead Italian Wraps that I can grab and eat on busy recipe development days. 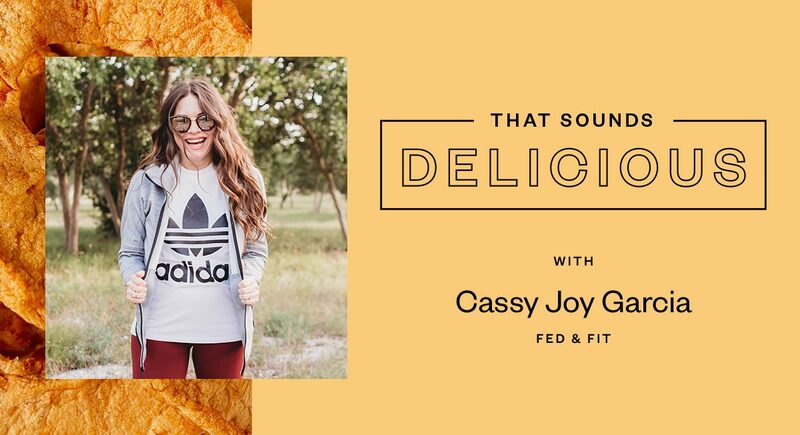 Learn more about Cassy Joy at Fed & Fit or on Instagram.